NOTICE: As of August 1st we are out of stock. We have another batch of 50 scheduled for production but will be 10-14 working days before they are completed. If you option to have yours powder coated expect another 4-7 days delay before it ships. We will ship back orders in the order they are received so order now! FJ Winch Mount Bumper - Mean Mother Edge 9500lb or 12000lb Recovery Winch - Van Beest Shackle Combination for all Toyota FJ Cruisers 2007-2016. Winch Mount Bumper - Warn VR Series Recovery Winch (select which model you want above) - Van Beest Shackle Combination for all Toyota FJ Cruiser models 2007-2014. 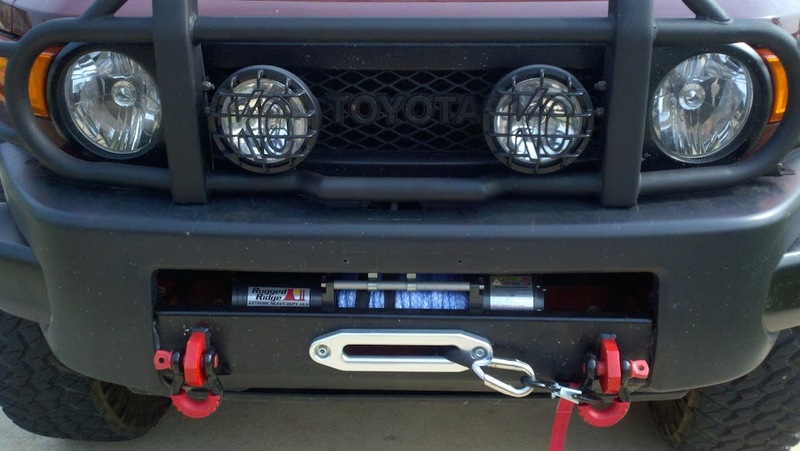 Everything you need to install a winch, one of our bumpers and two shackles on your FJ Cruiser all at a discounted price.